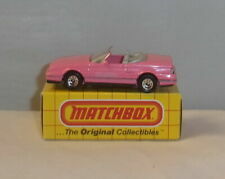 Matchbox Cadillac Allante' MB65/72 1992 Pink, Displayed Only! Fast Ship!! 1987 Matchbox CADILLAC ALLANTE CONVERTIBLE PINK WITH GRAY INTERIOR ~ 1:60 Nice! 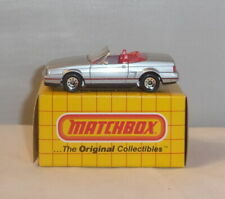 MATCHBOX CADILLAC ALLANTE - Scale 1/60 (Real Rubber Tires) LOOSE! NO BOX! MATCHBOX #72 CADILLAC ALLANTE MB72-I9 NEW COLOR DIE-CAST 1992 ~ RARE~NEW! This page was last updated: 19-Apr 18:15. Number of bids and bid amounts may be slightly out of date. See each listing for international shipping options and costs.